Can Metformin Prevent Colorectal Cancer in Diabetic Patients? Studies have suggested that patients with type 2 diabetes may be at an increased risk for developing colorectal cancer (CRC); hyperinsulinemia, hyperglycemia, and chronic inflammation are thought to all contribute to carcinogenesis. Metformin, a biguanide, exerts it antihyperglycemic effects by decreasing hepatic glucose production, decreasing intestinal absorption of glucose, and improving insulin sensitivity by increasing peripheral glucose uptake and utilization. Being that metformin is the most commonly prescribed medication for the treatment of type 2 diabetes, researchers sought to assess whether metformin use has an effect on the incidence of CRC in this patient population. A total of 8046 study participants were included in the analysis (2682 in the case group [diabetic patients with incident diagnosis of CRC]; 5364 individuals in the control group [diabetic patients without CRC diagnosis]); each group was 60% male, 40% female. In the case group, 36.6% of patients had metformin exposure, while 38.4% had metformin exposure in the control group. In this study, any metformin use led to a 15% reduction in the odds of CRC; after accounting for healthcare use, the effect was reduced to 12%. Reduction of risk was not significantly associated with metformin dose, duration or total exposure. Based on these results, researchers conclude that metformin appears to reduce the risk of developing CRC in patients with type 2 diabetes. However, more research needs to be done before metformin can be recommended as a colon cancer chemopreventive agent. BACKGROUND: Emerging evidence from observational studies has suggested that metformin may be beneficial in the primary prevention of colorectal cancer (CRC). METHODS: MarketScan databases were used to identify diabetic patients with CRC. RESULTS: The mean age of the study participants was 55 years and 57 years, respectively, in the control and case groups (P=1.0). 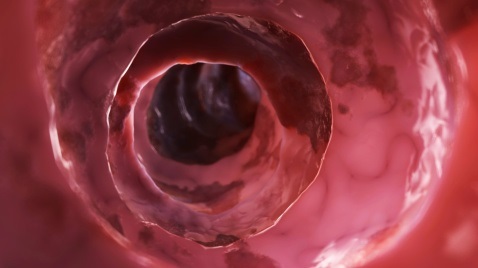 Close more info about Can Metformin Prevent Colorectal Cancer in Diabetic Patients?